MonsterGirl’s Halloween 🎃 2015 special feature! 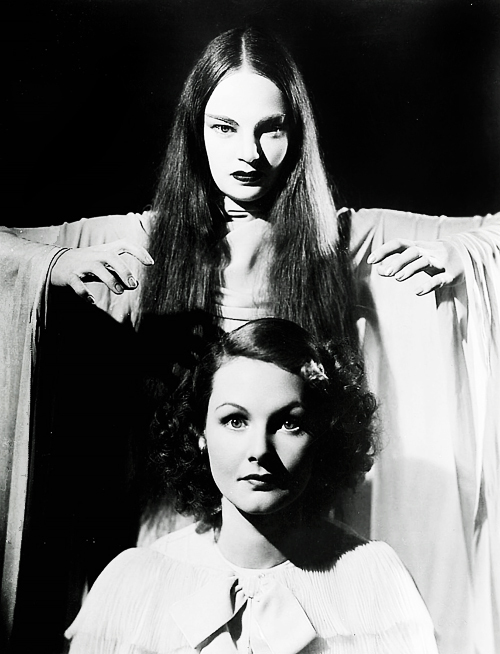 the Heroines, Scream Queens & Sirens of 30s Horror Cinema! 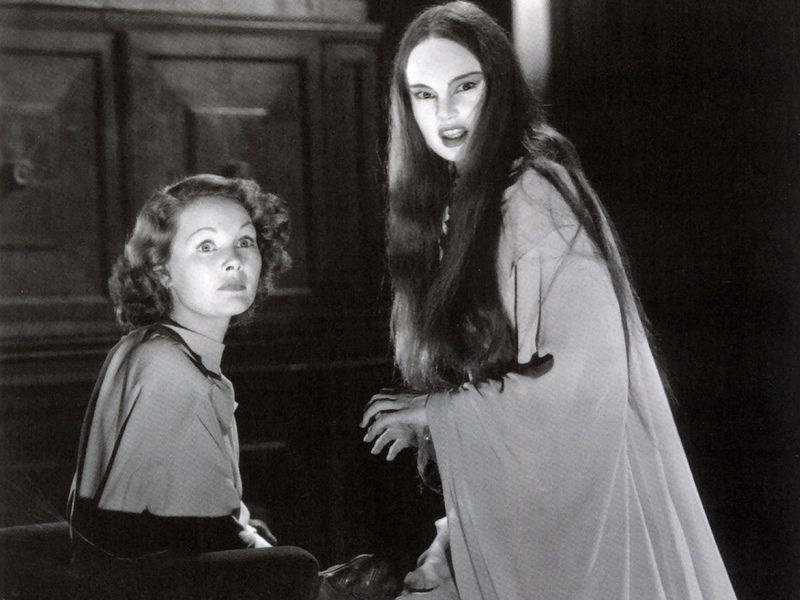 Horror cinema was at it’s spooky peak in the 1930s~ the era gave birth to some of the most iconic figures of the genre as well as highlighted some of the most beautiful & beloved heroines to ever light up the scream, oops I mean screen!!!! We all love the corrupted, diabolical, fiendish and menacing men of the 30s who dominated the horror screen- the spectres of evil, the anti-heroes who put those heroines in harms way, women in peril, –Boris, & Bela, Chaney and March… From Frankenstein, to Dracula, from The Black Cat (1934), or wicked Wax Museums to that fella who kept changing his mind…Jekyll or was it Hyde? From the Mummy to that guy you could see right through, thank you Mr. Rains! 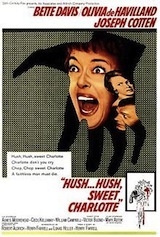 Last year I featured Scream Queens of 40s Classic Horror! 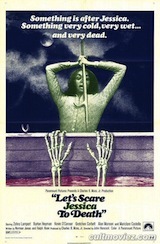 This Halloween 🎃 – I felt like paying homage to the lovely ladies of 30s Classic Horror, who squealed up a storm on those stormy dreadful nights, shadowed by sinister figures, besieged by beasts, and taunted with terror in those fabulous frisson filled fright flicks… but lest not forget that after the screaming stops, those gals show some grand gumption! 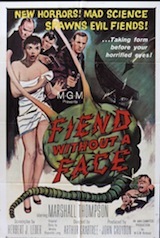 And… In an era when censorship & conservative framework tried to set the stage for these dark tales, quite often what smoldered underneath the finely veiled surface was a boiling pot of sensuality and provocative suggestion that I find more appealing than most contemporary forays into Modern horror- the lost art of the classical horror genre will always remain Queen… ! Let’s drink a toast to that notion! A British beauty with red hair who according to Gregory Mank in his Women in Horror Films, 1930s, left England for Hollywood and an MGM contract. 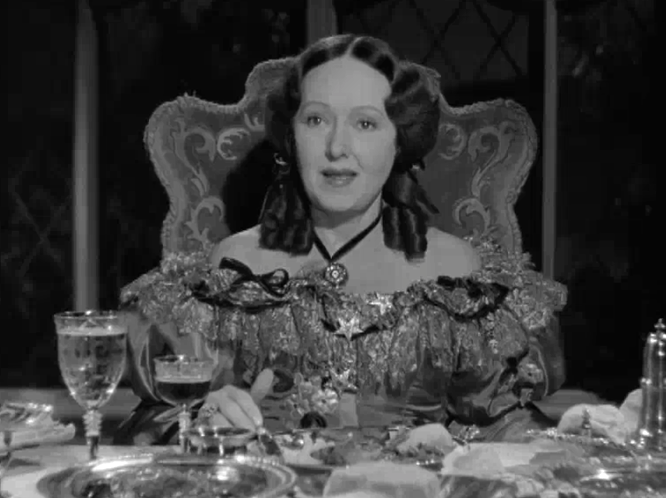 She is the consummate gutsy heroine, the anti-damsel Irena Borotyn In Tod Browning’s campy Mark of the Vampire (1935) co-starring with Bela Lugosi as Count Mora (His birthday is coming up on October 20th!) 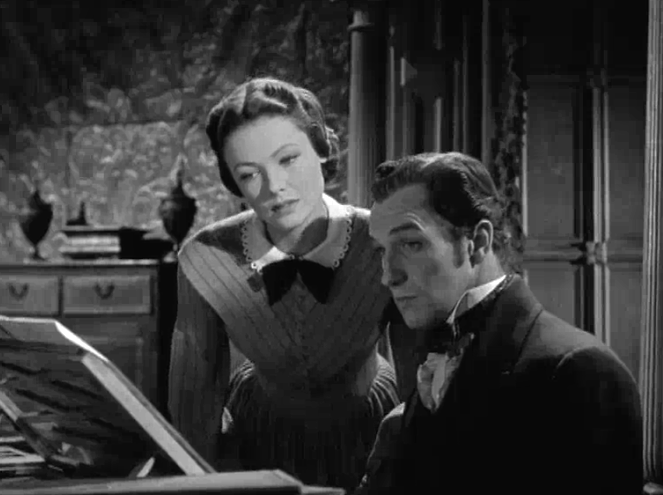 Lionel Atwill and the always cheeky Lionel Barrymore… Later in 1958 she would co-star with Boris Karloff in the ever-atmospheric The Haunted Strangler. 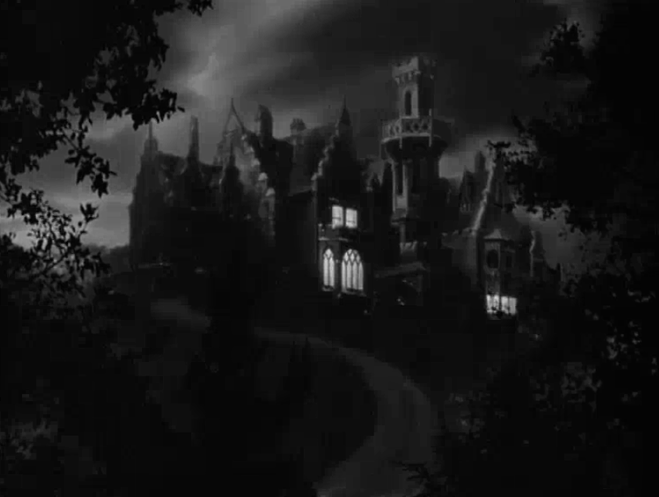 The film is a Tod Browning’s re-take of his silent Lon Chaney Sr. classic London After Midnight (1927). 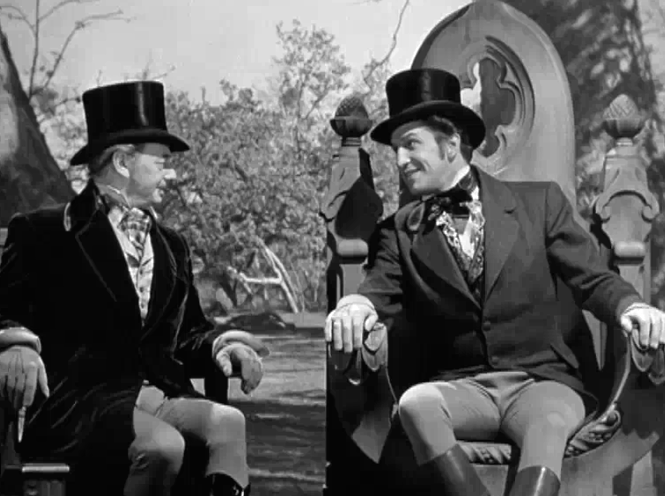 The story goes like this: Sir Karell Borotin (Holmes Herbert) is murdered, left drained of his blood, Professor Zelin (Lionel Barrymore) believes it’s the work of vampires. 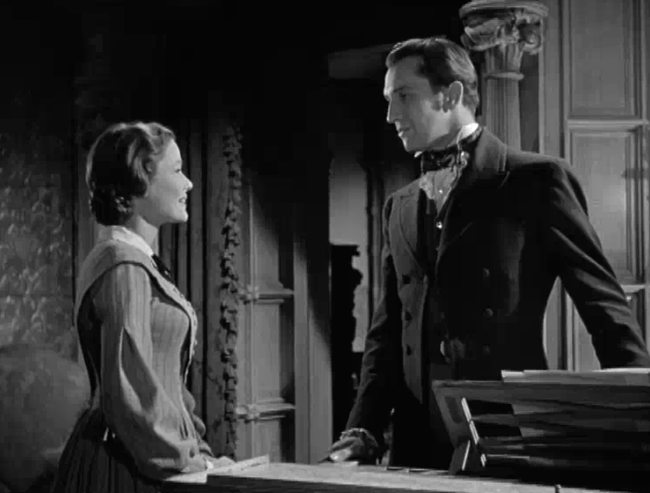 Lionel Atwill once again plays well as the inquiring but skeptical police Inspector Neumann. 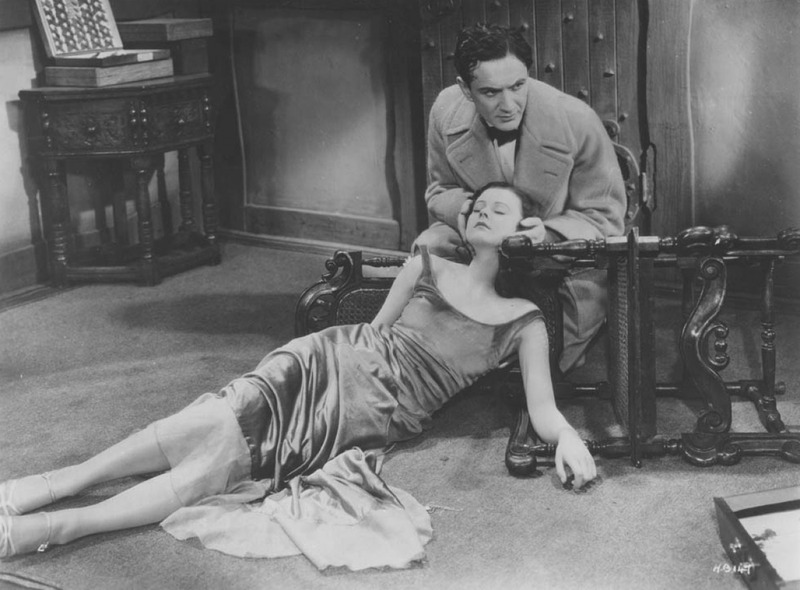 Irena (Elizabeth Allan) and Professor Zelen (Lionel Barrymore) hatch an intricate plot to trap the murderers! 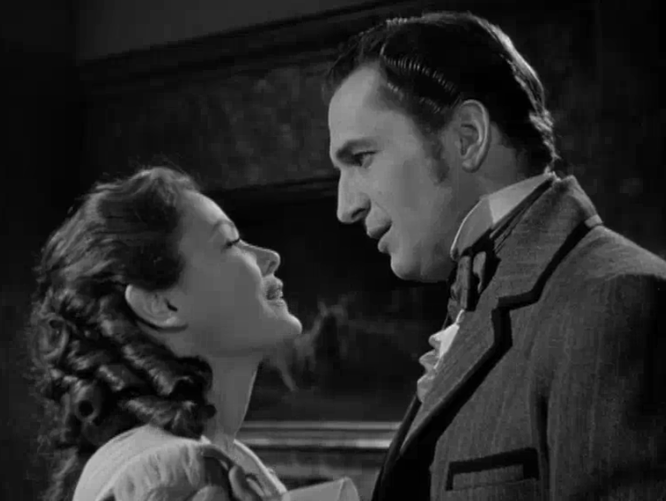 Once Sir Karell’s daughter Irena ( our heroine Elizabeth Allan) is assailed, left with strange bite marks on her neck, the case becomes active again. 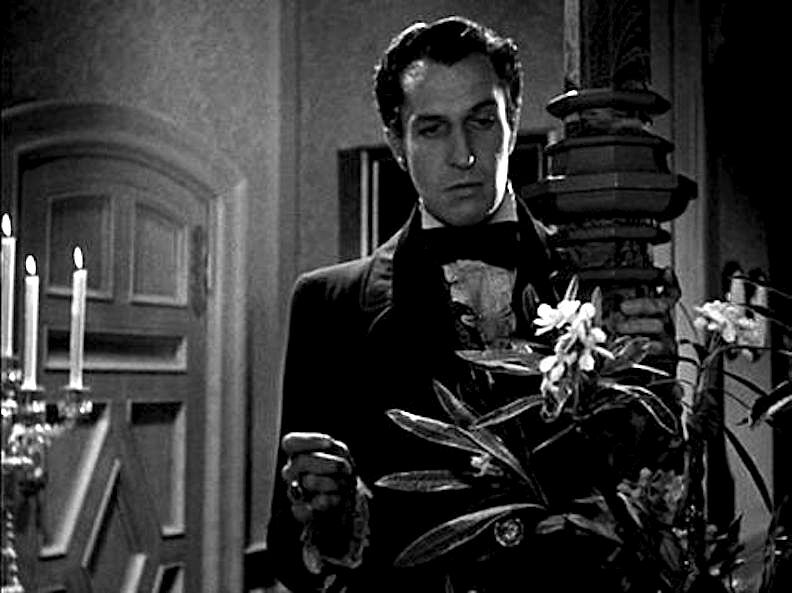 Neumann consults Professor Zelin the leading expert on Vampires. 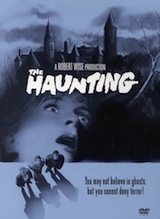 This horror whodunit, includes frightened locals who believe that Count Mora (Bela in iconic cape and saturnine mannerism) and his creepy daughter Luna (Carroll Borland) who trails after him through crypt and foggy woods, are behind the strange going’s on. But is all what it seems? 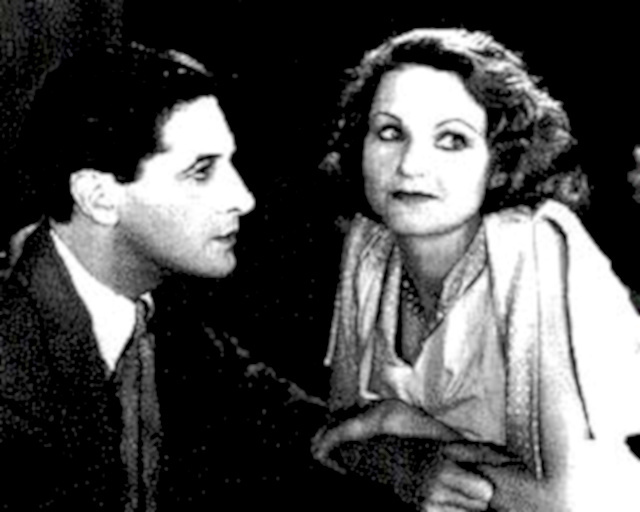 Directed by the ever interesting director Maurice Elvey (Mr. Wu 1919, The Sign of Four, 1923, The Clairvoyant 1935, The Man in the Mirror 1936, The Obsessed 1952) Elizabeth Allan stars as Daisy Bunting the beautiful but mesmerized by the strange yet sensual and seemingly tragic brooding figure- boarder Ivor Novello as Michel Angeloff in The Phantom Fiend! 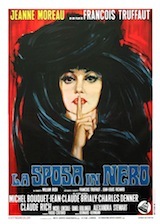 A remake of Alfred Hitchcock’s first film about Jack the Ripper… The Lodger (1927) starring Novello once again. There is a murderer loose in London who writes the police before he strikes with a sword cane, he signs his name X. 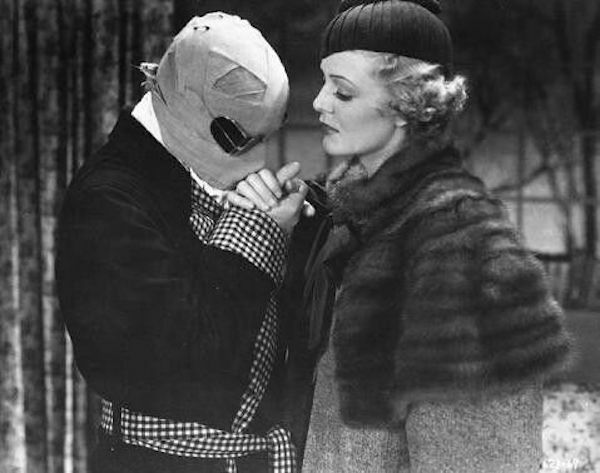 It happens that his latest crime occurs on the same night that the Drayton Diamond is stolen. 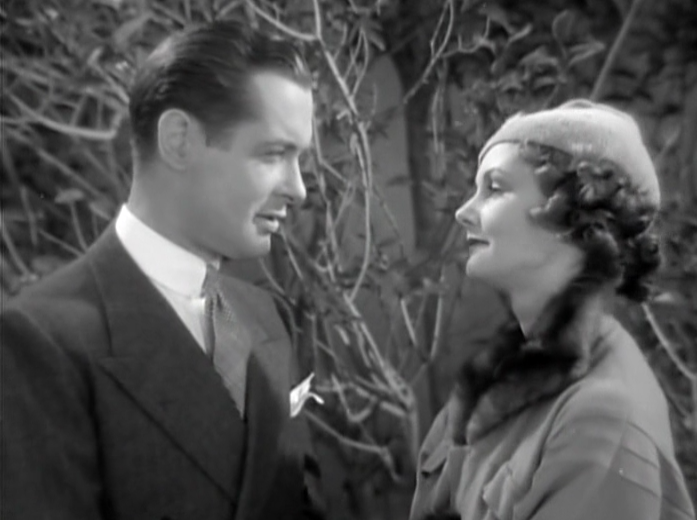 Robert Montgomery as charming as ever, is Nick Revel the jewel thief responsible for the diamond heist, but he’s not a crazed murderer. The co-incidence of the two crimes have put him in a fix as he’s now unable to unload the gem until the police solve the murders. Elizabeth Allan is the lovely Jane Frensham, Sir Christopher Marche’s (Ralph Forbes) fiancé and Police Commissioner Sir Herbert Frensham’s daughter. Sir Christopher is arrested for the X murders, and Nick and Jane band together, fall madly in love and try to figure out a way to help the police find the real killer! 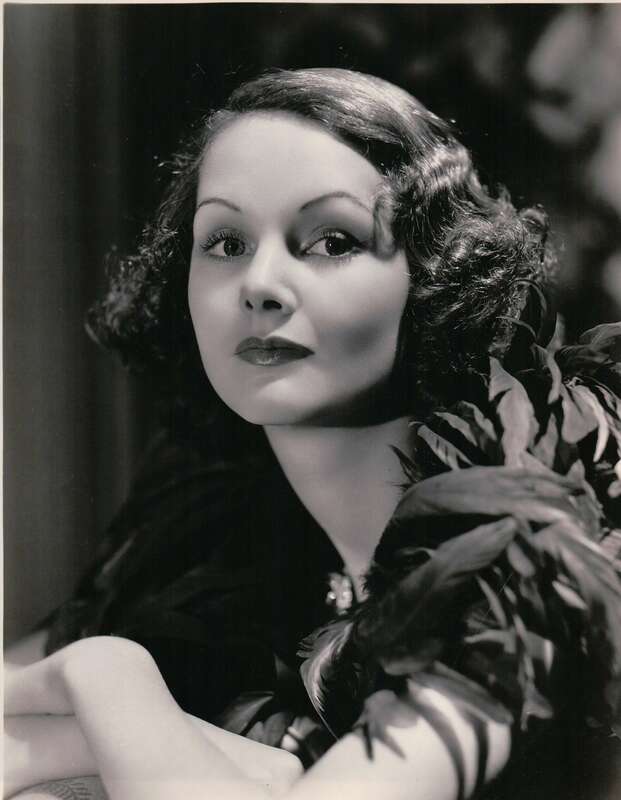 Heather Angel is a British actress who started out on stage at the Old Vic theatre but left for Hollywood and became known for the Bulldog Drummond series. 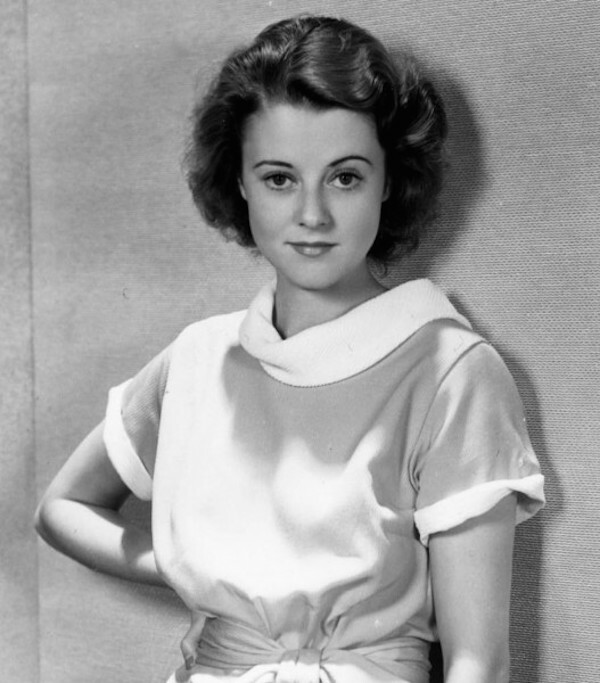 While not appearing in lead roles, she did land parts in successful films such as Kitty Foyle, Pride and Prejudice (1940), Cry ‘Havoc’ (1943) and Lifeboat (1944). 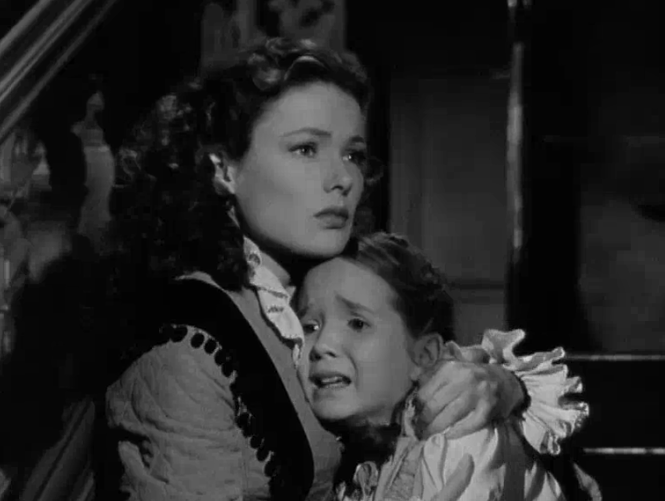 IMDb notes -Angel tested for the part of Melanie in Gone with the Wind (1939), the role was given to Olivia de Havilland. Heather Angel possessed a sublime beauty and truly deserved to be leading lady rather than relegated to supporting roles and guilty but pleasurable B movie status. 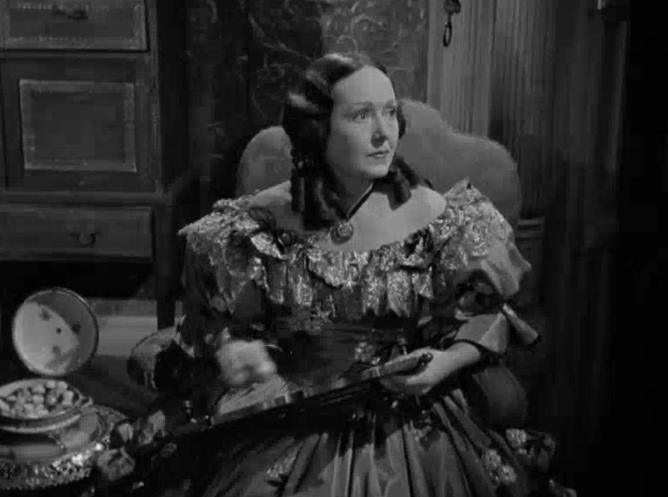 Her performances in Berkeley Square and The Mystery of Edwin Drood were critically acclaimed… More gruesome than the story-lines involving her roles in Edwin Drood, Hound of the Baskervillles or Lifeboat put together is the fact that she witnessed her husband, stage and film directer Robert B. Sinclair’s vicious stabbing murder by an intruder in their California home in 1970. 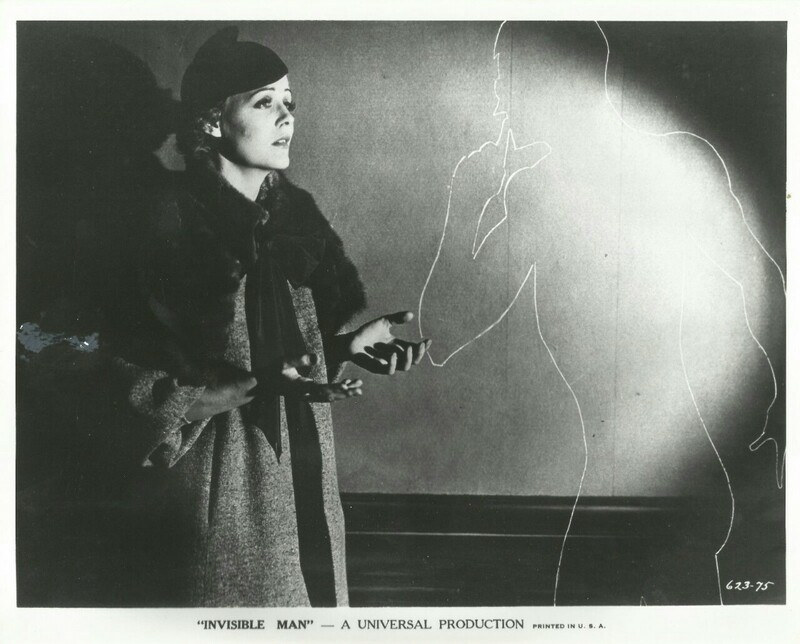 Heather Angel is Beryl Stapleton in this lost (found negatives and soundtracks were found and donated to the British Film Institute archives) adaptation of the Sir Arthur Conan Doyle’s Sherlock Holme’s thriller Originally serialised in The Strand magazine between 1901 and 1902. 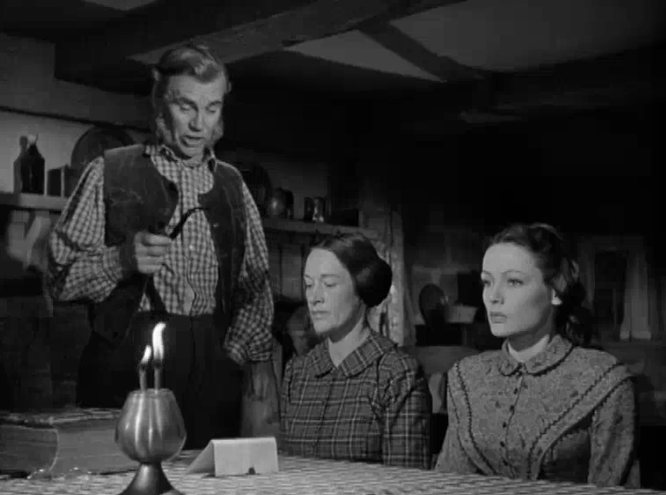 In this first filmed talkie of Doyle’s more horror oriented story it calls for the great detective to investigating the death of Sir Charles Baskerville and solve the strange killing that takes place on the moors, feared that there is a supernatural force, a monstrous dog like fiend that is menacing the Baskerville family ripping the throats from it’s victims. 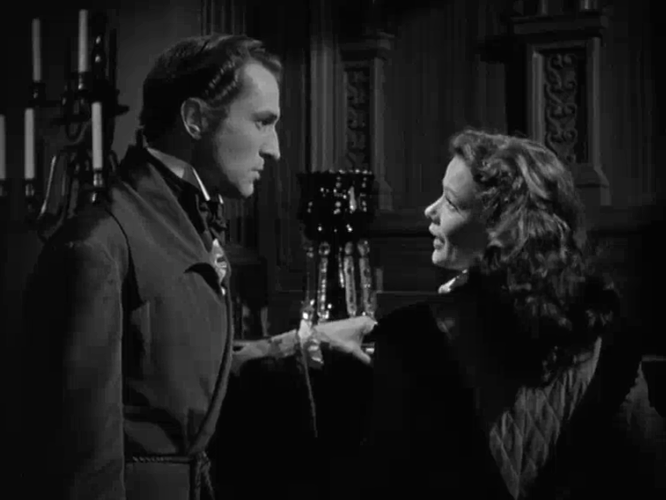 The remaining heir Sir Henry is now threatened by the curse. 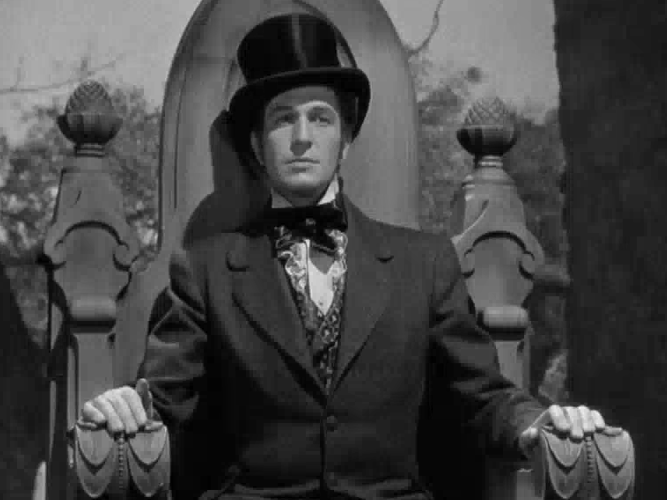 Mystery of Edwin Drood (played by David Manners) is a dark and nightmarish Gothic tale of mad obsession, drug addiction and heartless murder! 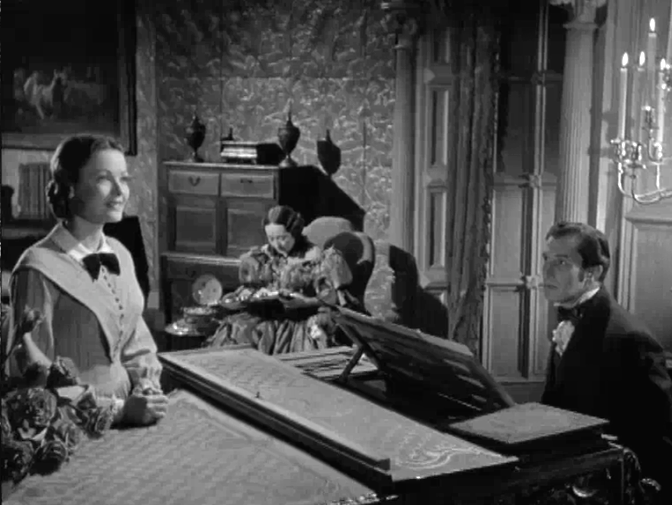 Heather Angel plays the beautiful and kindly young student at a Victorian finishing school, Rosa Bud engaged to John Jasper’s nephew Edwin Drood. 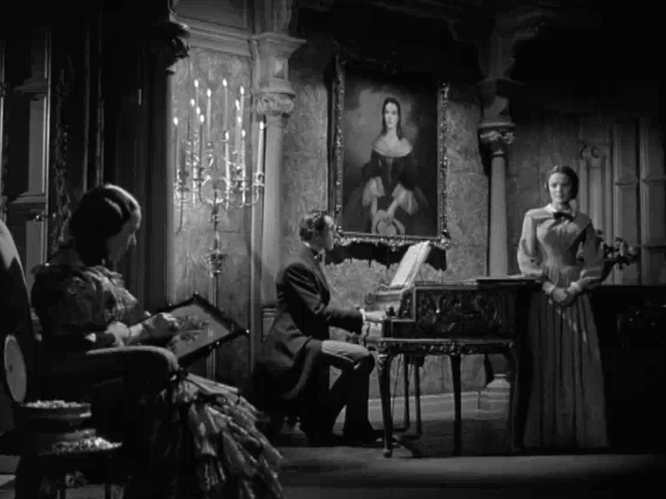 The opium chasing, choir master John Jasper (Claude Rains) becomes driven to mad fixation over Rosa, who is quite aware of his intense gaze, she becomes frightened and repulsed by him. The brooding & malevolent Rains frequents a bizarre opium den run by a menacing crone (Zeffie Tilbury), a creepy & outre moody whisper in the melody of this Gothic horror/suspense tale! 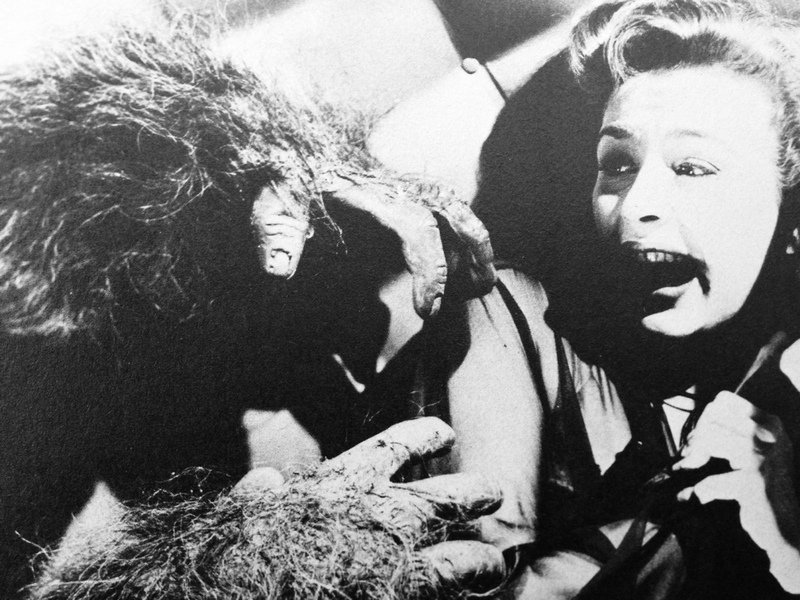 Valerie Hobson plays twin sister Helena Landless, the hapless Neville’s sister. 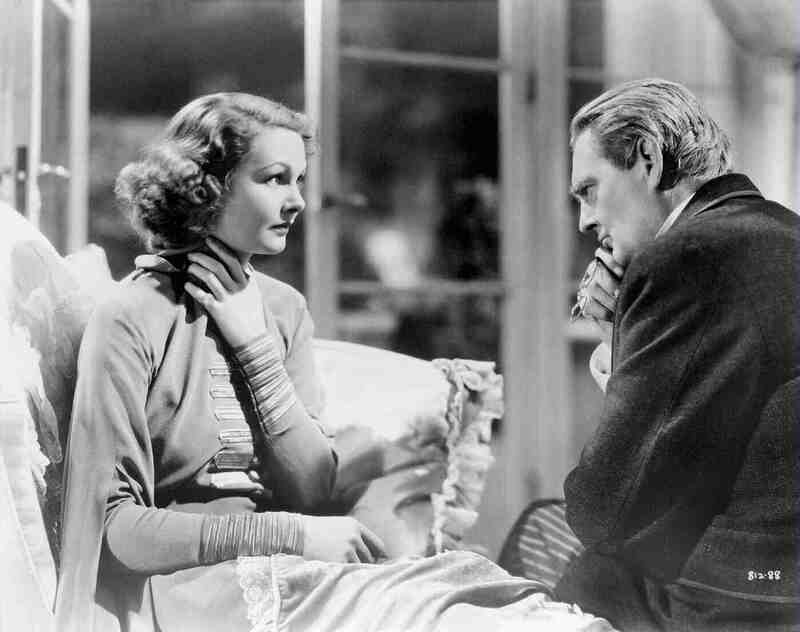 (We’ll get to one of my favorites, the exquisite Valerie Hobson in just a bit…) When Neville and Helena arrive at the school, both Edwin and he vie for Rosa’s affections. 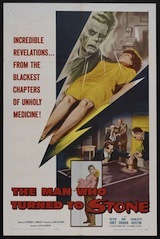 When Edwin vanishes, naturally Neville is the one suspected in his mysterious disappearance. Tod Browning produced & directed this eternally disturbing & joyful portrait of behind the scenes melodrama and at times the Gothic violence of carnival life… based on the story ‘Spurs’ by Tod Robbins. It’s also been known as Nature’s Mistress and The Monster Show. It was essential for Browning to attain realism. He hired actual circus freaks to bring to life this quirky Grand Guignol, beautifully grotesque & macabre tale of greed, betrayal and loyalty. 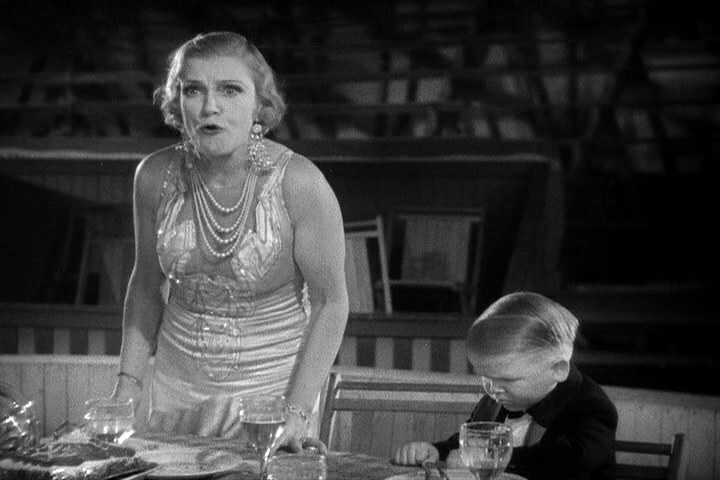 Cleopatra (Baclanova) and Hercules (Henry Victor) plan to swindle the owner of the circus Hans, (Harry Earles starring with wife Frieda as Daisy) out of his ‘small’ fortune by poisoning him on their wedding night. The close family of side show performers exact a poetic yet monstrous revenge! 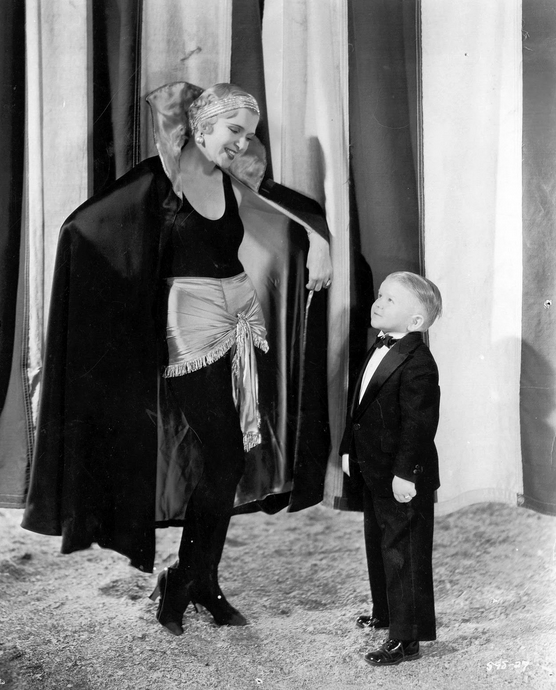 The film also features many memorable circus folk. 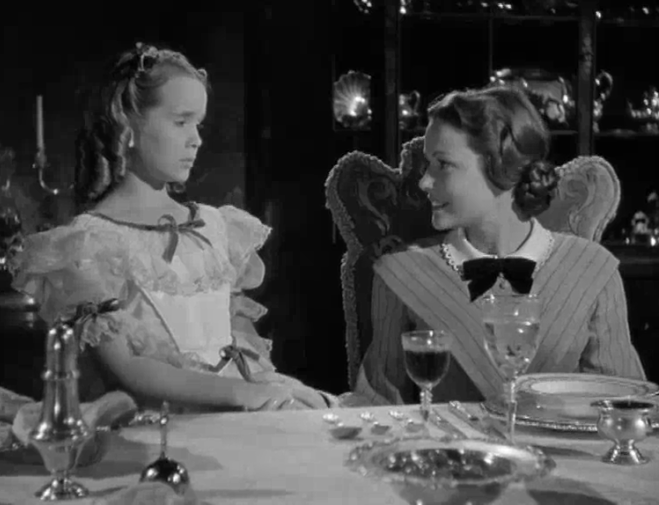 Siamese conjoined twins Daisy & Violet Hilton, also saluted in American Horror Story (Sarah Paulson another incredible actress, doing a dual role) Schlitze the pinhead and more! Anyone riveted to the television screen to watch Jessica Lange’s mind blowing performance as Elsa Mars in American Horror Story’s: Freak Show (2014) will not only recognize her superb nod to Marlene Dietrich, but much reverence paid toward the Tod Browning’s classic and Baclanova’s cunning coldness. Gooba Gabba… I guess she isn’t one of us after all! 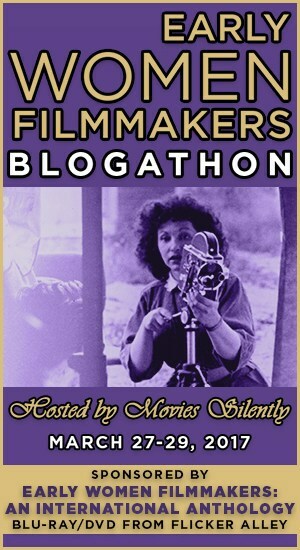 Dark Patroons & Hat Box Killers: 2015 The Great Villain Blogathon! 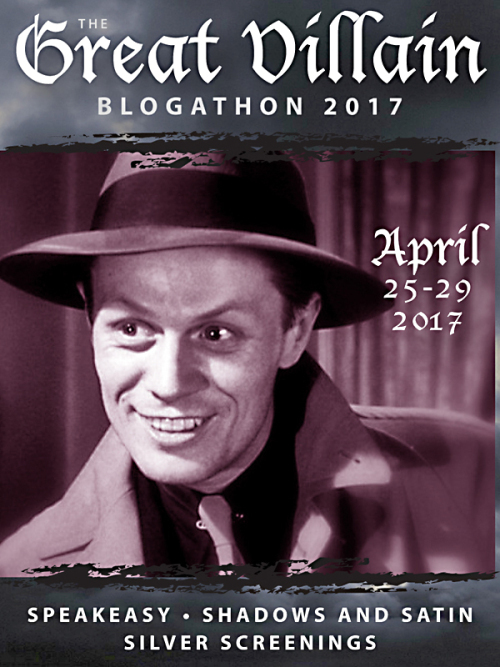 IT’S HERE AGAIN… THAT TINGLING ON THE BACK OF YOUR NECK BECAUSE THERE’S FOUL DEEDS AND MURDEROUS MACHINATIONS AFOOT…HOSTED BY SPEAKEASY… SHADOWS & SATIN… AND SILVER SCREENINGS… THE GREAT VILLAIN BLOGATHON OF 2015! 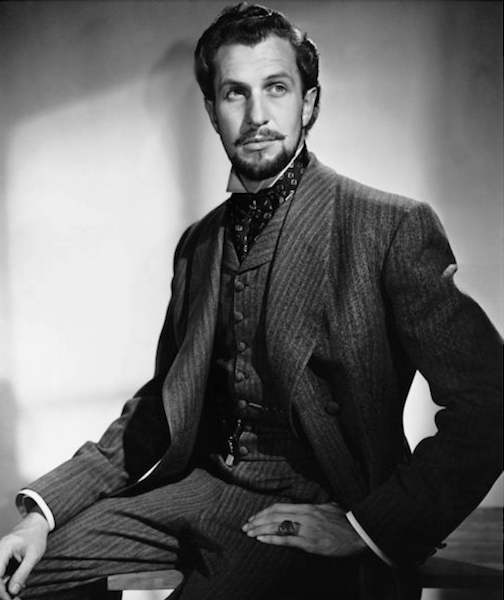 Vincent Price is perhaps one of THE sexiest men in film. Eventually type cast albeit an icon of the horror film industry… enough of us are aware of his range of talent and his sophisticated manner. If I were to have met him, I would have swoon… and that’s not a lie. He possessed a unique sensuality both tragic and dynamic that just drew you in. 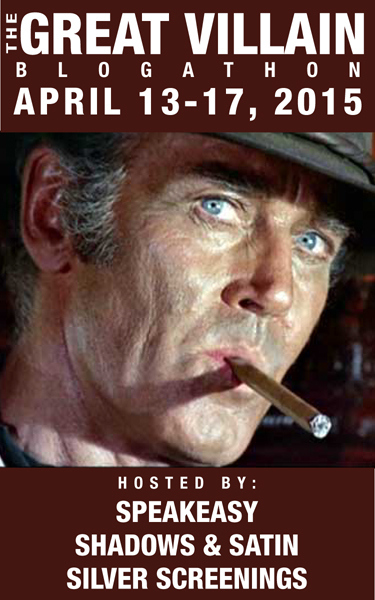 Price always could play ONE of the most cultivated, enigmatic and beguiling villains any time…. The chemistry between Price and Tierney is authentic and captivating. 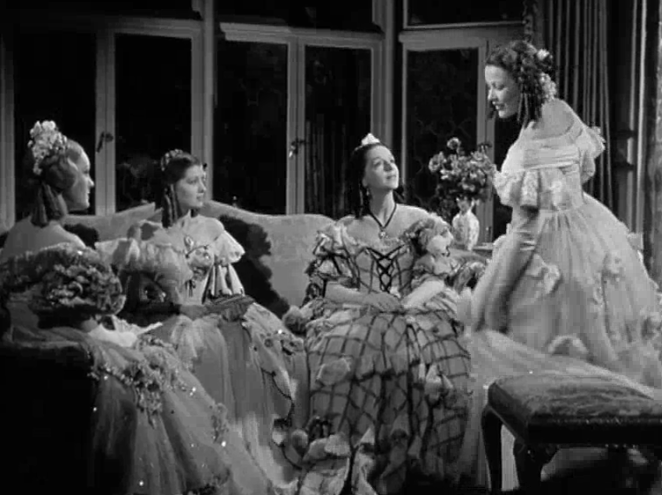 When Miranda Wells feels humiliated by the gaggle of high class snobbish debutantes because she’s from the wrong end of the river, not from the Hudson but The Connecticut River bottom, and Nicholas tells her she’s better then all of them and asks her to dance. He seems so gentle and human… but he has a dark and villainous side! 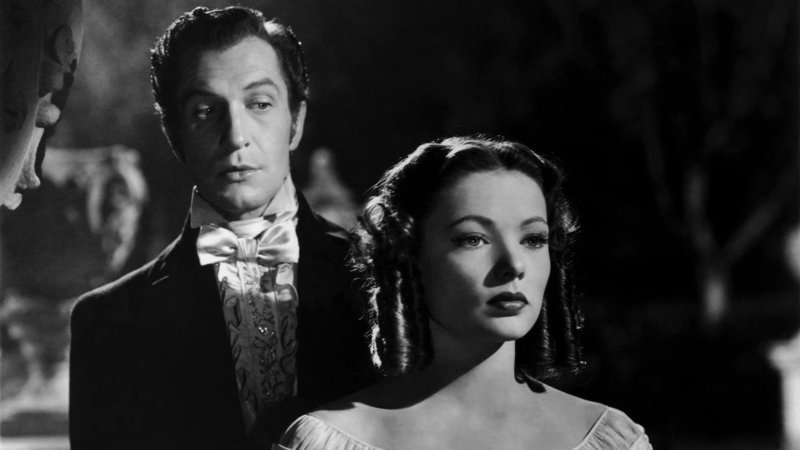 DRAGONWYCK 1946 was Vincent Price’s 18th film, after having appeared in The House of the Seven Gables 1940 as Shelby Carpenter opposite Gene Tierney in Laura 1944, Leave Her to Heaven 1945, right after he appeared as the cold blooded Dr. Richard Cross in Shock 1946. 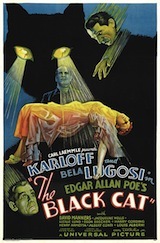 Produced by Ernst Lubitsch uncredited and overseen by one of my favs– Writer/Director Joseph L Mankiewicz. 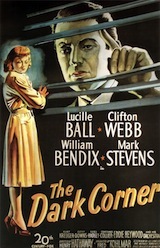 this Gothic & dark romance is based on the novel by Anya Seton… With cinematography by Arthur C. Miller (The Ox Bow Incident 1943,The Razor’s Edge 1946, Whirlpool 1949, The Prowler 1951), Art Direction by Lyle Wheeler and Russell Spencer, Set Direction by the great Thomas Little. 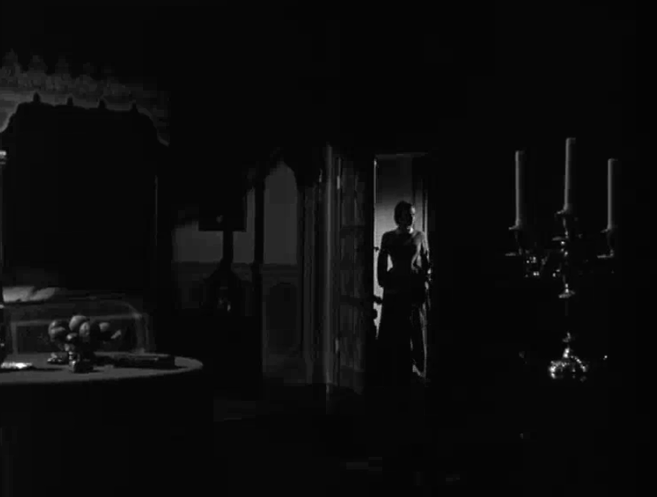 The lighting alone is a mixture of noir chiaroscuro and offers dramatic shadings of the best classical elements of horror. 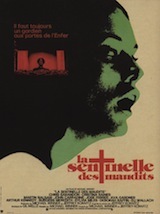 The narrative speaks of familial secrets, and twisted vengefulness not unlike Lewis Allen’s spooky debut masterpiece The Uninvited 1944. Costumes by Rene Hubert and Make Up by Ben Nye. 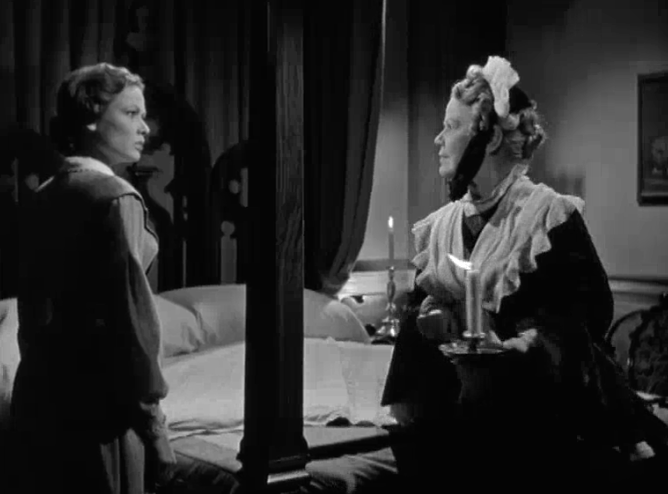 The film bares shades of Hitchcock/de Maurier’s Rebecca 1940 and Robert Stevenson’s/Charlotte Brontë‘s Jane Eyre 1943. 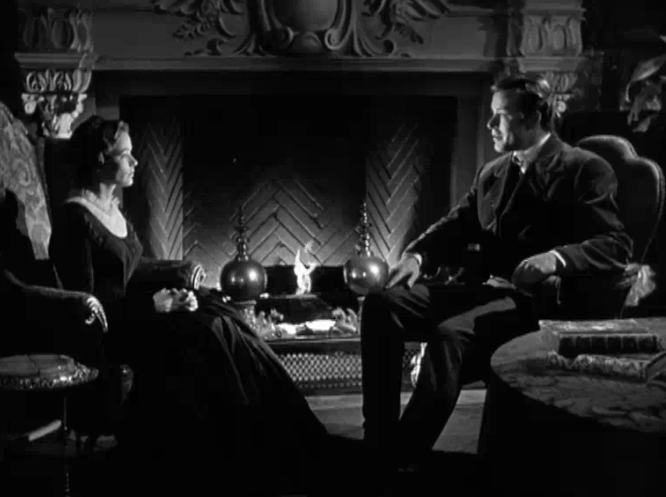 Even a bit of de Maurier’s tautly suspenseful My Cousin Rachel 1952 directed by Henry Koster and starring Olivia de Havilland and Richard Burton. The book is a hell of a good read if you enjoy Gothic melodrama. 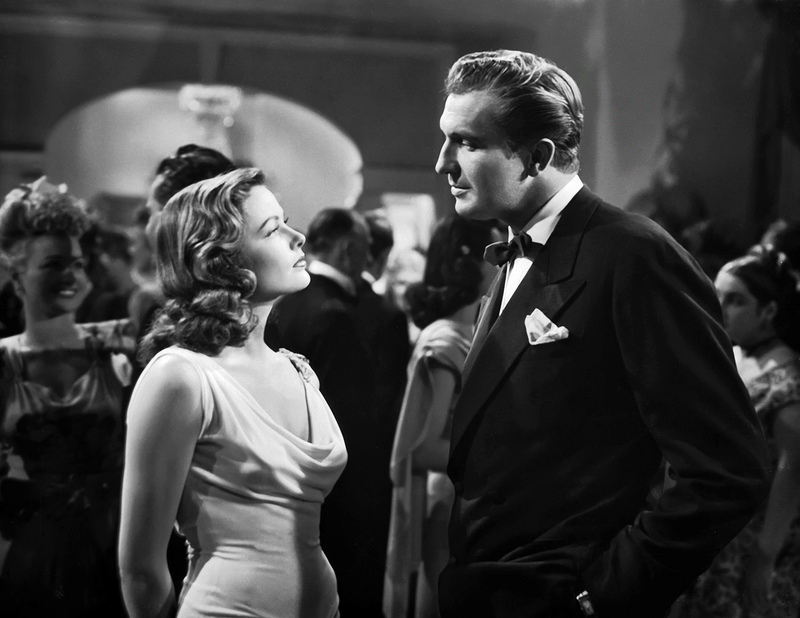 Gene Tierney and Vincent Price reunite after having appeared in Otto Premingers‘ memorable film noir masterpiece Laura in 1944. 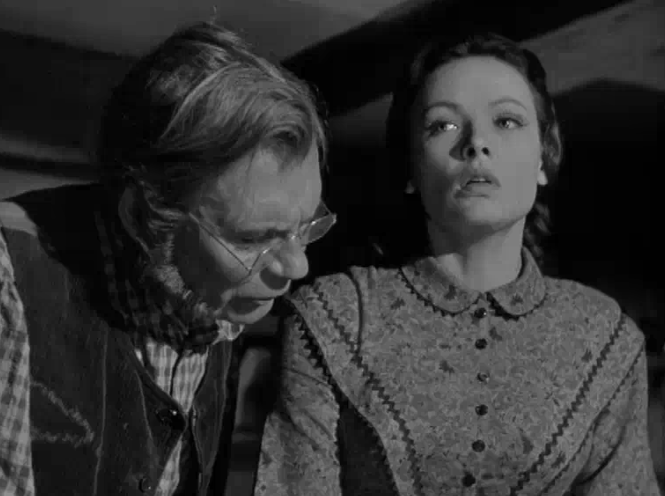 Here-Gene Tierney plays Miranda Wells, Walter Huston is her devoutly christian working class father-Ephram Wells. 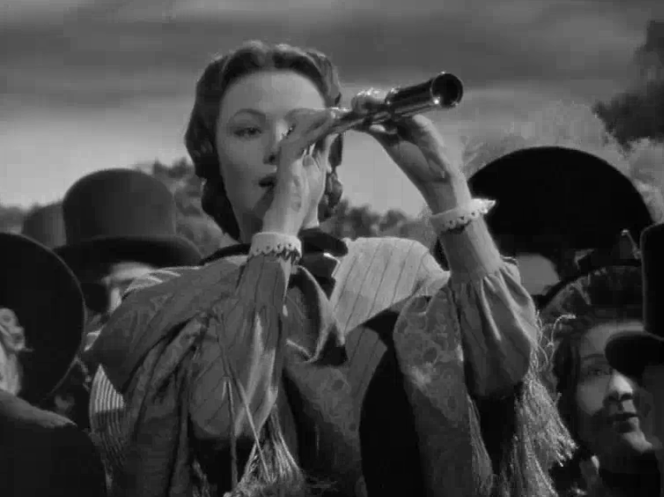 This scene foreshadows the dangerous path the Miranda is willing to wander through, as she starts to break free of her puritanical upbringing and reach for a life of being a free spirit. Believing that Nicholas represents that freedom. But there is a hint of evil that her father can sense. 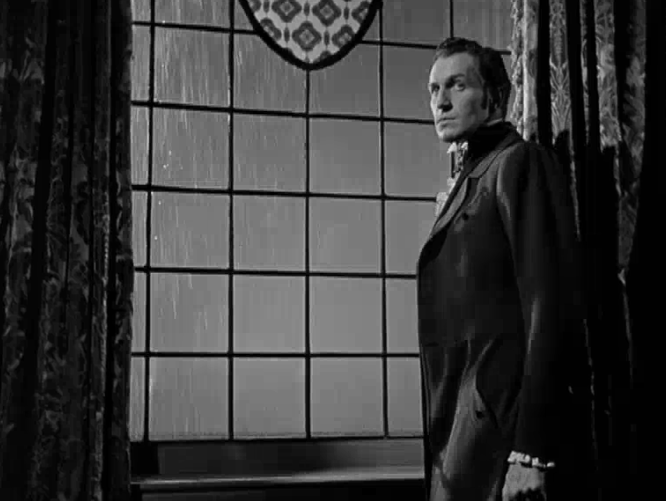 Vincent Price once again manifests a passionate yet conflicted antagonist Nicholas Van Ryn with a magnetism you cannot escape, yet you may despise his cruelty and his self indulgent murderous arrogance. 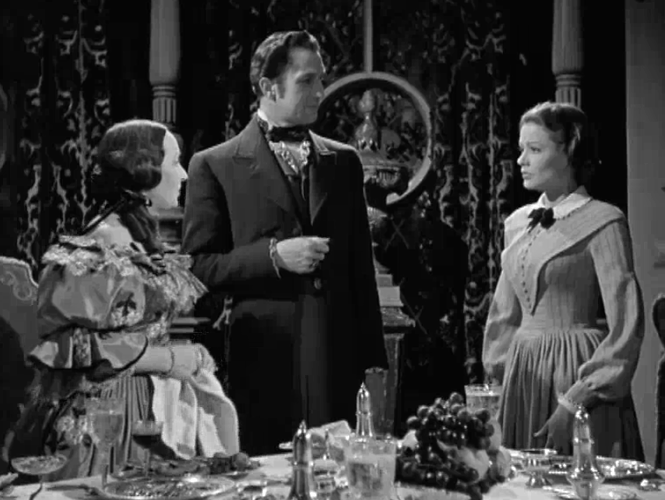 Glenn Langan is the handsome yet vanilla Dr Jeff Turner, Anne Revere adds a depth of nurture as Abigail Wells-Miranda’s mother who is weary of her daughters intentions to marry such a powerful man. 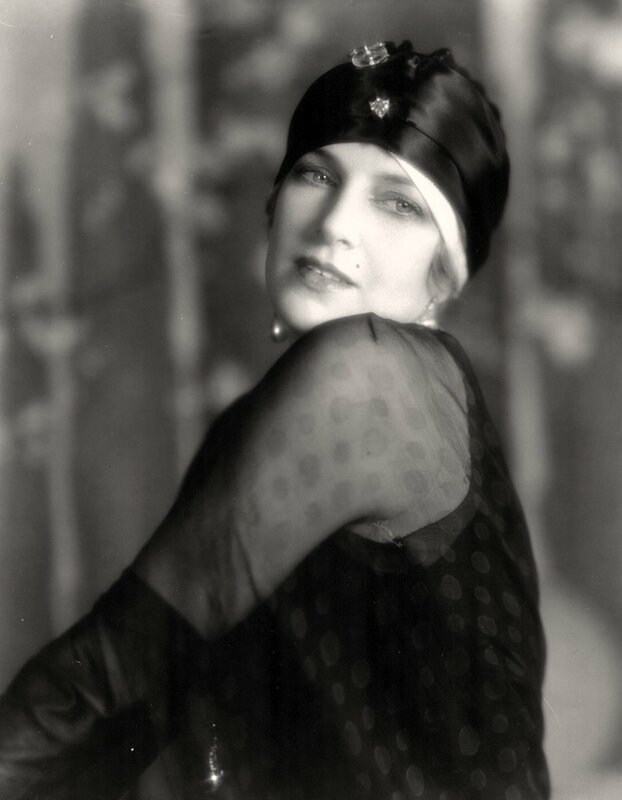 Spring Byington is one of the maids-Magda. Connie Marshall is the young melancholy Katrina Van Ryn, Henry Morgan is Bleeker one of the farmers who challenges Van Ryn and fights back against the antiquated laws. 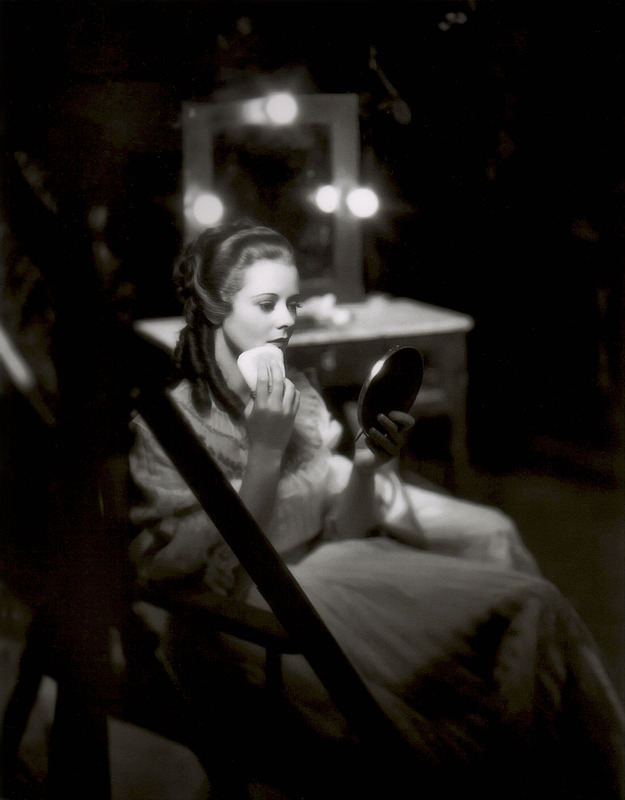 Vivienne Osborne plays wife-Johanna Van Ryn. 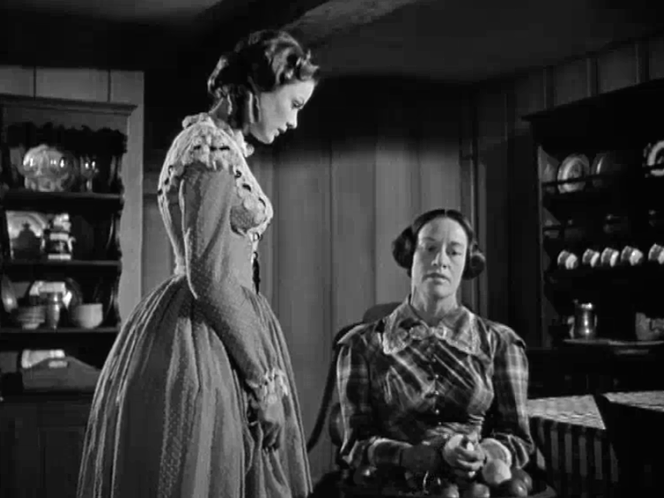 Jessica Tandy gives a marvelous performance as Miranda’s maid the feisty Peggy O’ Malley. Trudy Marshall is Elizabeth Van Borden. 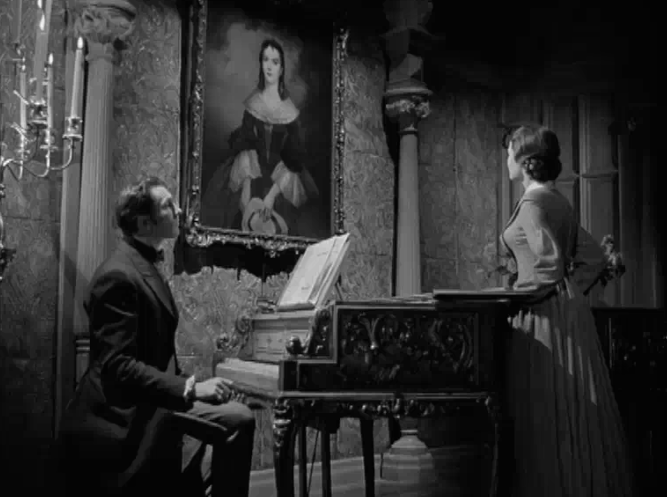 Reinhold Schunzel is Count de Grenier, Jane Nigh is Tabitha. Ruth Ford is Cornelia Van Borden, David Ballard is Obadiah. 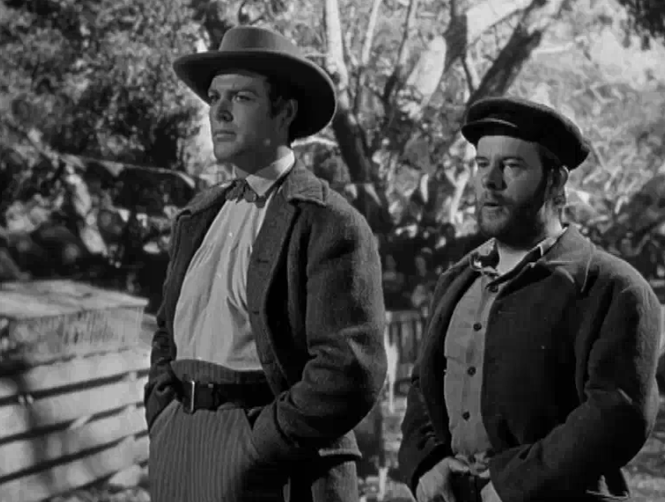 Scott Elliot is Tom Wells and Boyd Irwin is Tompkins. 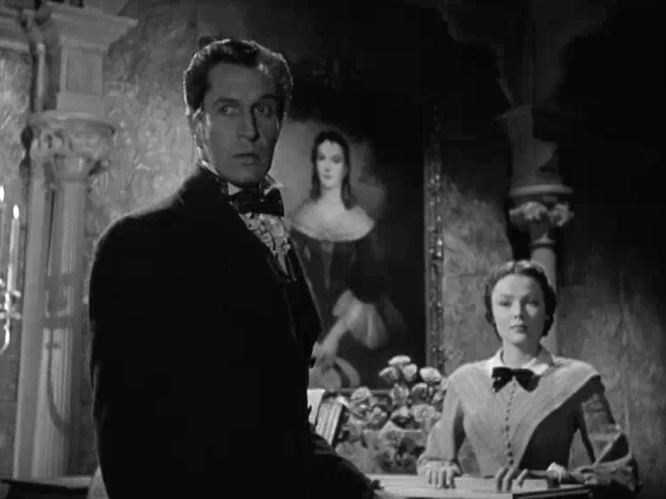 DRAGONWYCK is a Gothic suspense melodrama in the grand classical style. 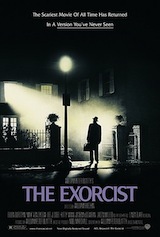 It even brushes against the edges of the classic horror film not only because of the way it’s filmed, but there are certain disturbing elements to the story. 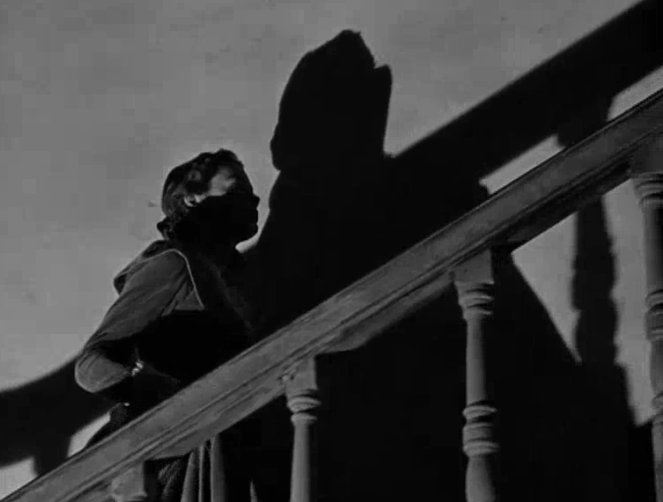 The shadows and darkness that are part of the psychological climate work almost reminiscently of a Val Lewton piece. 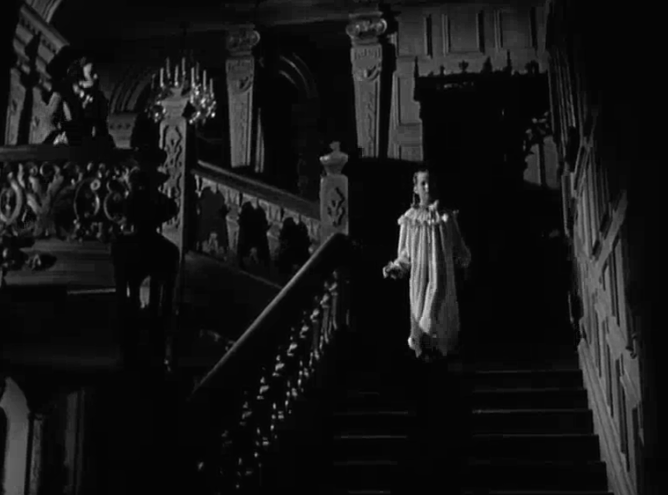 There’s even a pale reference to that of a ghost story that is concealed or I should say unrevealed, with the first Mrs.Van Ryn’s spirit playing the harpsichord, and the eerie phantom chords that add to the mystery and gloom that hang over the manor house. 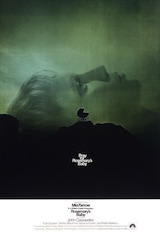 With swells of atmospheric tension and darkly embroidered romance there’s just the right tinges of shadows and danger. A lush and fervent tale that combines tragic Gothic romantic melodrama with the legitimate themes of social class struggle wrapped within dark secrets and suspense. As always, Price conveys a tragic pathos even as the story’s villain, he is a man who manifests layers upon layers of feeling. Brooding, charming, sensual, intellectual, menacing, passionate, conflicted, self-loathing, and ego-maniacal all at once. 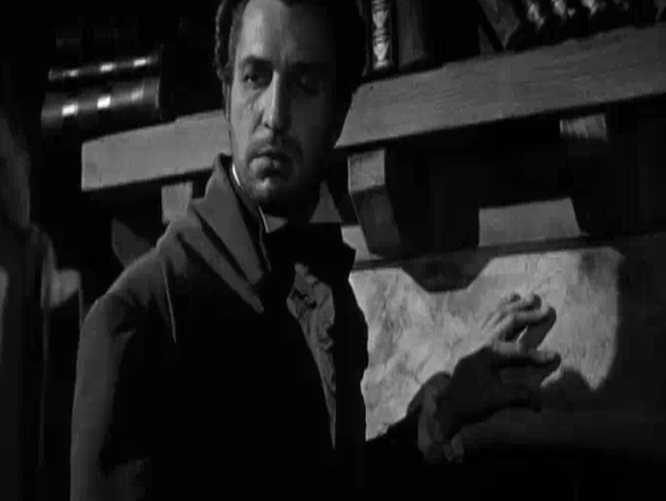 One of my favorite roles will always be his embodiment of Corman/Poe’s Roderick Usher in House of Usher 1960. 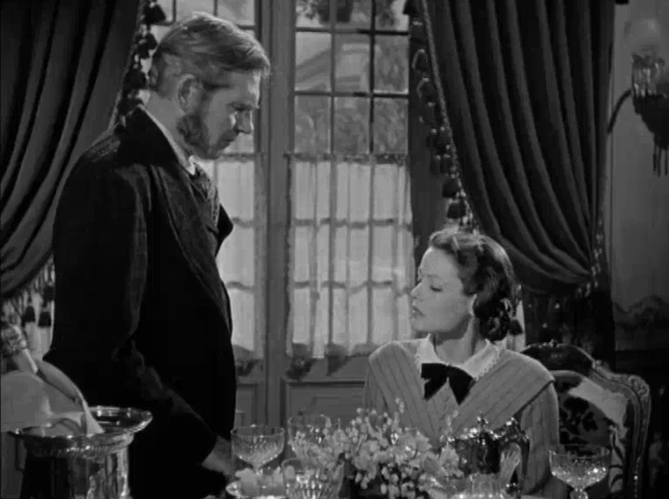 The film also offers us the sublime acting skill and divine beauty of- Gene Tierney as the heroine or damsel in peril, a simple farm girl living near Greenwich Connecticut, who dreams of the finer things in life, swept up by the allure of a fairy tale existence only to find out that her dream has become a nightmare. 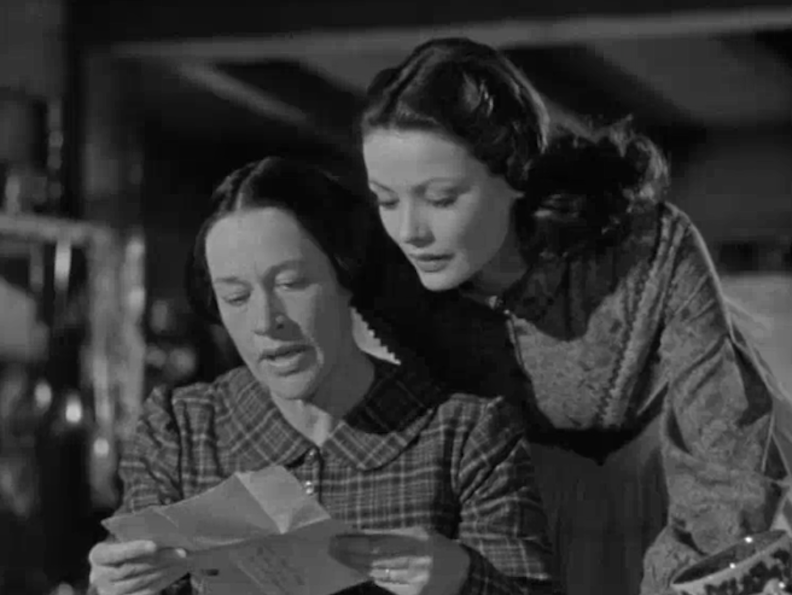 Once Miranda receives a letter inviting her to come and visit Dragonwyck, she is perhaps at once young and naive when she arrives at the austere place to be a companion to Van Ryn’s despondent daughter Katrine, a lonely sort of isolated child. 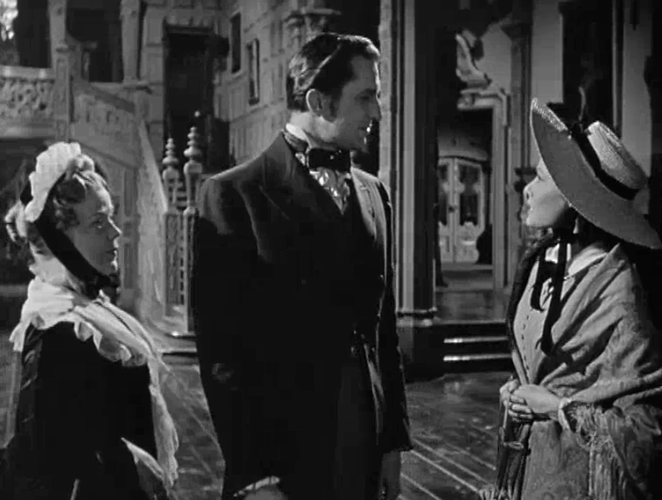 First triangulated by Van Ryn’s over-indulgent wife Johanna, after her death, the two begin a whirlwind romance that leads Miranda to marry the imposing Nicholas Van Ryn. 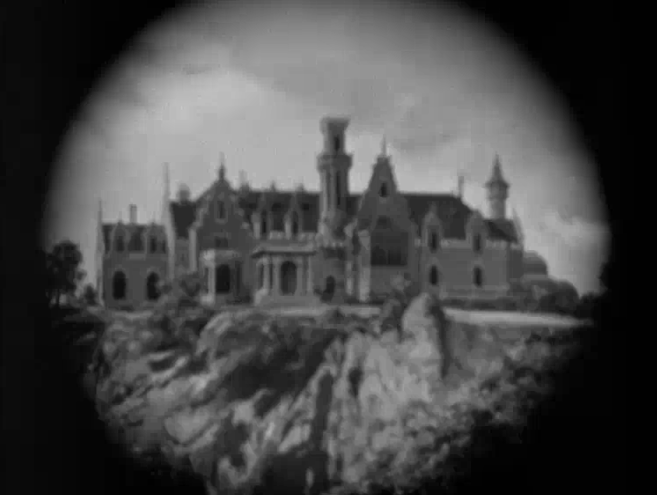 Almost in the style of a Universal monster movie, the central focus is the mysterious mansion, surrounded by volatile thunderstorms and restless villagers who want to take action against their oppressor. 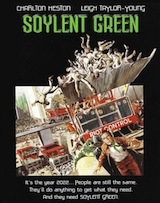 The film works as a period piece seeming to possess an added heaviness due to the provincial settings and underpinnings of class unrest, which lends itself to the bleak mood. 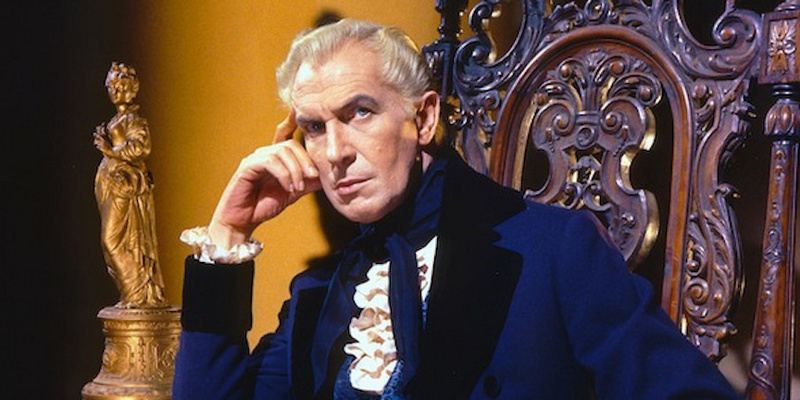 DRAGONWYCK’S villain or very human boogeyman is the inimitable & urbane Vincent Price who holds sway over the locals as the patroon–lord of the land, as well as master of all he surveys, and of course his new wife. Driven by his obsession to have a son. He is a brooding dark figure whose dissent into drug addicted madness comes to light like a demon who has escaped from a bottle. Van Ryn is vain and contemptuous, scornful, condescending and cruel. Eventually driven by his immense pride, love and desire… to murder his first wife who is in the way of his ultimate legacy. Yet as in the case of Nicholas, they can be brutal and self-opportunistic land lords who collected the rent from these hard working, exploited and poor farmers. This is what first impresses Miranda about Nicholas, his power and station in life. Tibby her sister tells her that she’s not anxious to leave home. Nicholas Van Ryn is a brooding and powerful aristocratic patroon who runs all matters with an iron hand. 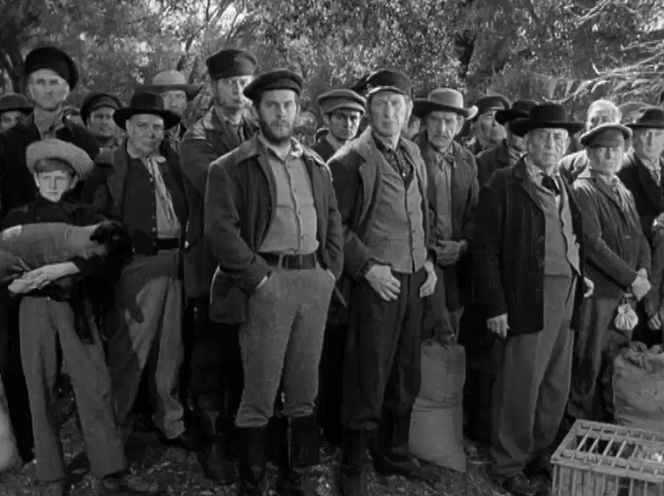 In the Nineteenth Century the upstate New York counties were still dealing with a system run by these Patroons. There began a social uprising of the surroundings farmers who wanted more power over their land and a rule that would abolish the aristocracy that was a tribute to a dying past practice. Soon there would be an end to these ruling Estates. When Nicholas’ first wife cannot bare him a son as heir to carry on the Van Ryn name, the wealthy and wicked Nicholas Van Ryn secretly plans to poison her with the help of an Oleander plant. Setting his sights on the younger, more beautiful cousin Miranda. 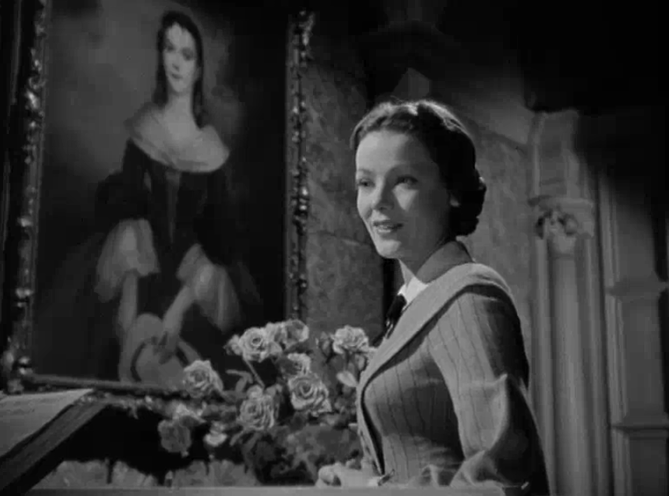 He then invites Miranda (Gene Tierney just naturally exudes a uniquely dreamy eyed splendor) to come and visit Dragonwyck. 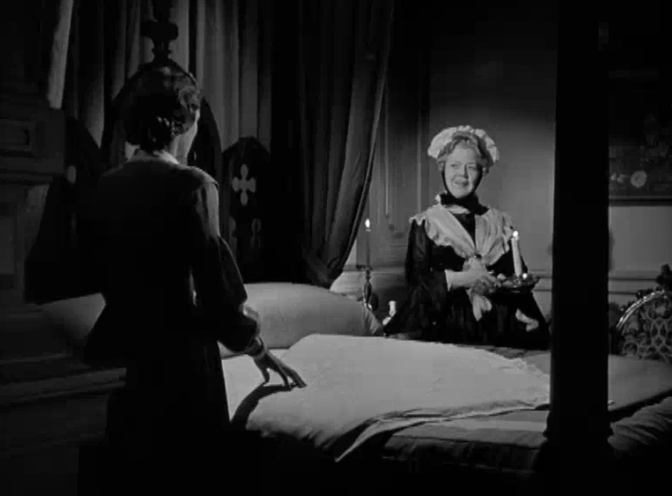 She is an innocent girl fascinated by the urbane Nicholas but by the film’s climax she becomes entrapped in the foreboding and bleak atmosphere of Dragonwyck, a place of secrets, sadness and insanity. 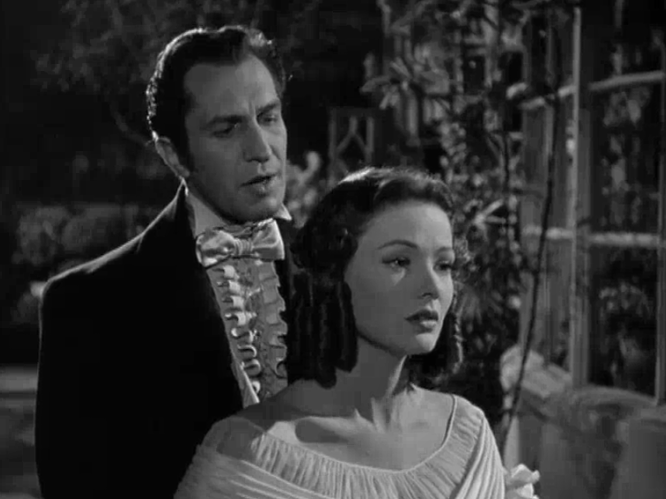 Miranda is so taken with the idea of dancing the waltz and how fine a gentleman cousin Nicholas seems. Her father always reading passages from the bible, she hungers for adventure. Miranda craves the freedom to experience a better life. Nicholas is already starting to reveal his cutting tongue by commenting on how his wife over eats and is not refined. A hint of his cruel nature. 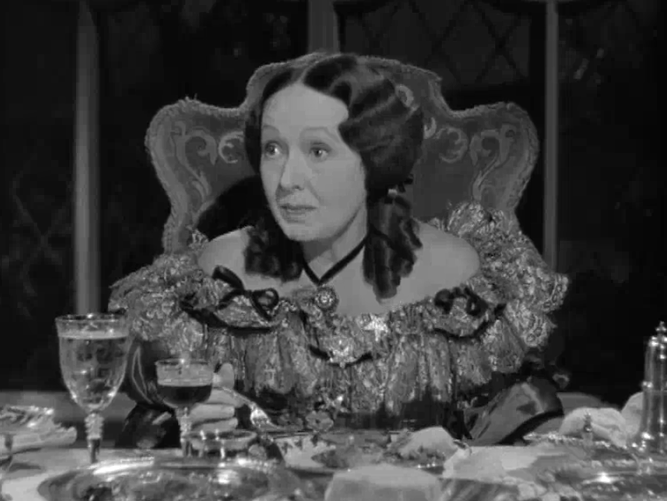 At dinner, Johanna begins to nag him about bringing home the pastries from New York, the Napoleons, she appears to be a glutton, and though very pretty, a most unattractive portrayal of her character is given for the narrative’s purpose of Nicholas justifiably ridding himself of her so that he might pursue Miranda. 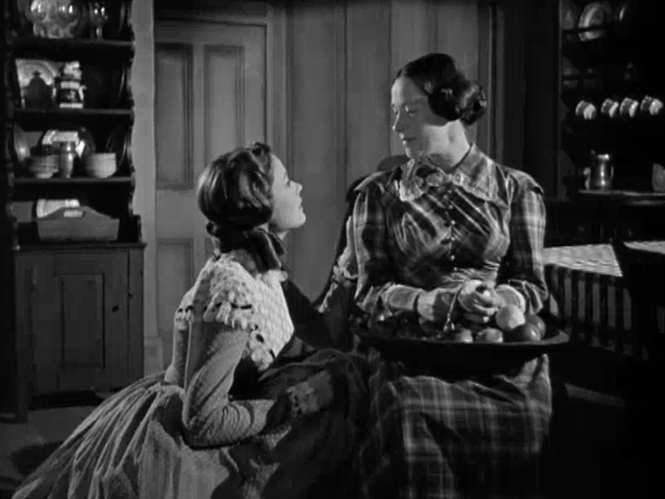 In contrast to Johanna’s piggishness, Miranda is given a clear bowl of broth for her supper. the scene is set up so we feel a bit of sympathy toward Nicholas. 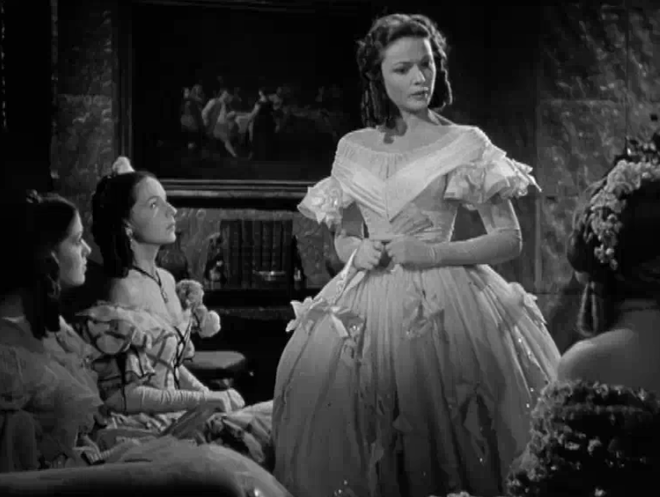 Cinematographer Arthur C. Miller frames the shot as Johanna is placed in between Nicholas and Miranda. His wife Johanna appears like a fairy tale character–the over-exaggerated plump wife who gorges herself on sweets while Nicholas and Miranda talk of love and loss. Miranda is wildly curious. He is withdrawn and pensive. Miranda asks him to tell her more about his grandmother. Was it love at first sight? Johanna “If you listen to the servants they’ll have you believe she still does!“ she laughs. 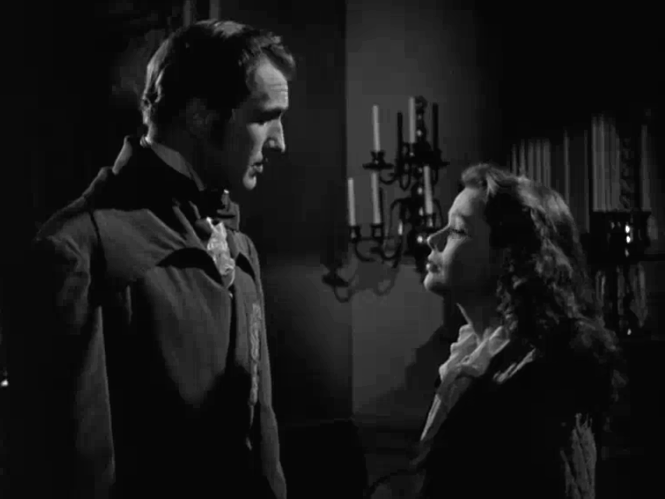 But Nicholas quickly turns around to look at her, a dark shadow creeps along his brow. His eyes raised. 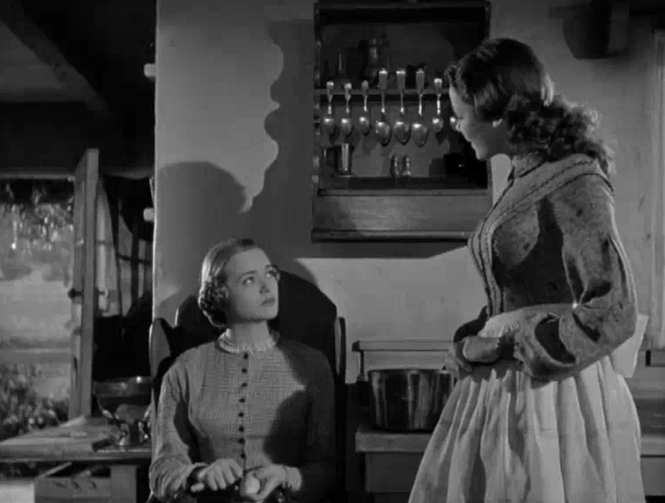 The meddling maid pierces Miranda’s innocence with her honesty like venom–causing a bit of shock on Miranda’s face that usually seems as tranquil as a quiet lake of sparkling water. 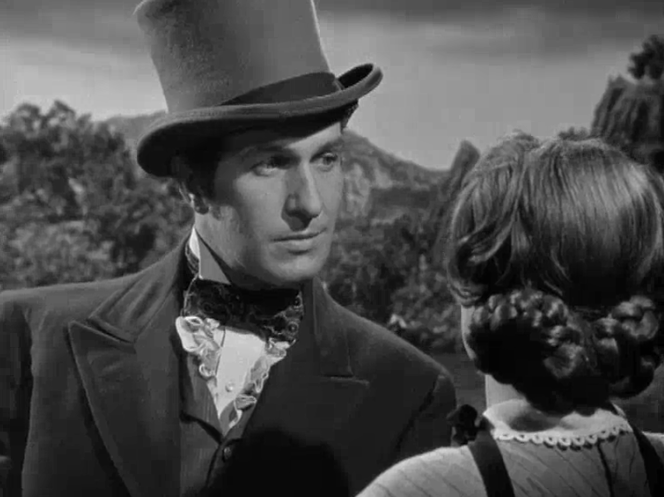 The handsome young Dr. Turner (Glenn Langan) comes to take care of Johanna who has taken sick to her bed. Johanna’s illness gets worse, of course we know Nicholas has poisoned her. Lying in bed she tells him that sometimes she thinks he hates her, but asks if they can go away together once she’s better. He says yes because he knows she’ll never get better. In fact she will never leave that bed alive.